An intriguing world title unification match in the junior-middleweight division is now set to take place early in 2018. Erislandy Lara vs Jarrett Hurd was confirmed as a unification match that will take place by Cuban champion Lara’s manager to Spanish-speaking news outlet El Nuevo Herald. The fight will see Lara’s WBA world title on the line and Hurd’s IBF super-welterweight on the line a fight between two of the division’s best. Another unification in boxing, which is great to see. 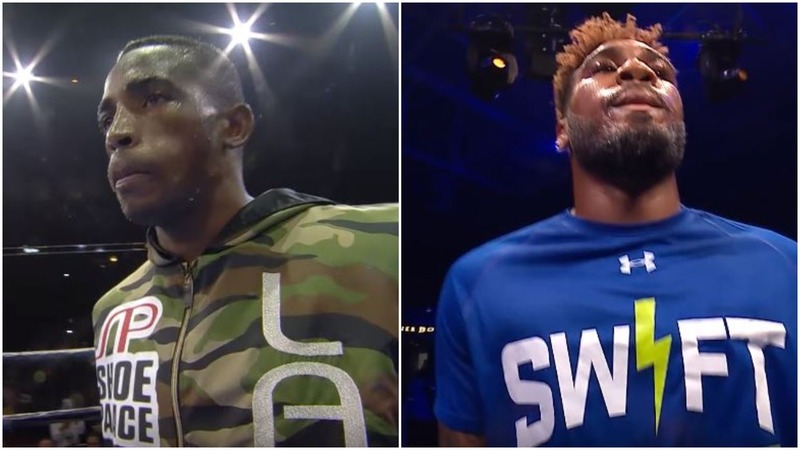 But also a genuinely interesting match up between a guy on one hand in Lara, possess an innate boxing ability against Hurd who perhaps is the slightly bigger punching of the two. Cuban Lara in recent years has struggled to land significant fights due to his difficult to box fight-style so this will be a big relief to him at the start of 2018. The only two losses of Lara’s (25-2-2-14KO) career have come to Paul Williams and Canelo Alvarez while Hurd is still unbeaten as a professional (21-0-15KO). Likely this will be a Premier Boxing Champions event one suspects. One which could be shown on possibly the likes of Fox or Showtime. However no formal details have been announced just yet. Hurd comes into the fight off the back of stopping Austin Trout. An opponent they both share. Lara beat Trout on points a few years back by unanimous decision.